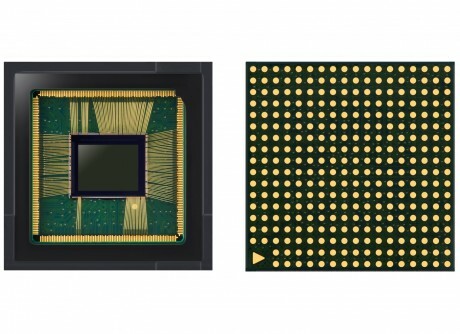 Samsung this week announced two new Isocell image sensors for smartphones and IoT devices. The first is the Isocell Fast 2L9 with Dual Pixel technology, a 12-megapixel sensor with pixels that measure 1.28-micrometers (Î¼m). Samsung says this particular sensor has two photodiodes in each pixel, rather than one, which helps the sensor lock focus on the smallest objects even in low light. The Dual Pixels also help create bokeh effects. Moreover, the Fast 2L9's slim design will allow it to fit into smartphones without creating a camera bump on the exterior of the phone. The Isocell Slim 2X7 sensor is the first to have a pixel size below 1.0Î¼m, according to Samsung; its pixels measure just 0.9Î¼m. Samsung says despite the small pixel size, the Slim 2X7 is still able to capture accurate color with less noise thanks to its deep trench isolation, which reduces crosstalk between the pixels. The Slim 2X7 also boasts Tetracell technology, which lets the sensor take brighter photographs in the dark. The incredibly small size will allow the Slim 2X7 to easily fit into smartphones and other consumer electronics without contributing to size or thickness. Samsung didn't say when the Fast 2L9 and Slim 2X7 will ship. Samsung today announced two high-megapixel camera sensors bound for flagship smartphones. The Samsung ISOCELL Bright GM1 and the ISOCELL Bright GD1 offer 48 megapixels and 32 megapixels, respectively. Huawei today introduced the P20 and P20 Pro at an event in Paris. The new phones, direct competitors to Apple's iPhone, are high-end devices that include unique colors, powerful processors, and the newest camera technology.